Premium durability and supreme comfort. Hotels and Resorts use wristbands for a variety of reasons. One of the main reasons is to mark guests who are all inclusive for an either a few days or an extended period. Or maybe the wristbands get you into a nearby attraction like a waterpart. We offer wristbands that enable you to monitor guests or allow them admittance at a company you are working with. 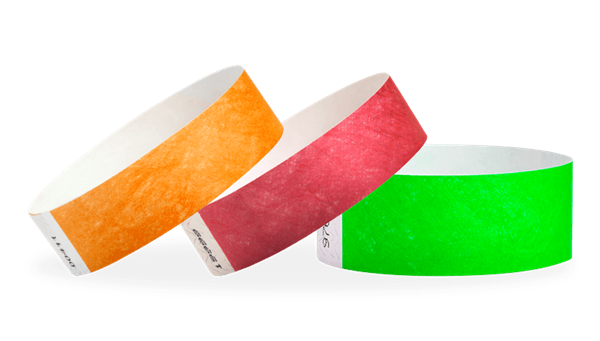 For shorter stays of 1 - 2 days we have Tyvek® Wristbands, they are one time use bands that must be destroyed to be removed. These bands are secure, durable and they are very affordable. 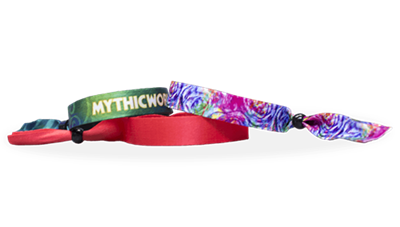 We carry a variety of colors so you can easily switch wristbands each day, mark weekend guests and so on. 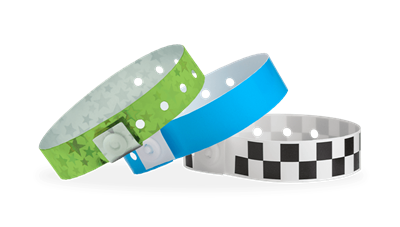 Tyvek® wristbands are water resistent and are used by a number of water parks. If you have guests who stay a week or more, we carry Plastic and Vinyl wristbands that last for extended periods. Plastic is generally used for 3 - 7 days while vinyl is 7 - 14 days. We also carry vinyl cash tag wristbands that come with pull off vouchers that can be used for drinks, food, etc. For both Plastic and Vinyl we carry a variety of options so you can pick what is best for you. Both are water proof so they are great for resorts with pools or waterparks. All of our wristbands can be customized to your liking, this lets you create a band with your text/logo (and/or your partners) on it. This allows you to create a look unique to your resort so you don't have guests counterfitting the bands. You can also add bar codes to the wristbands.